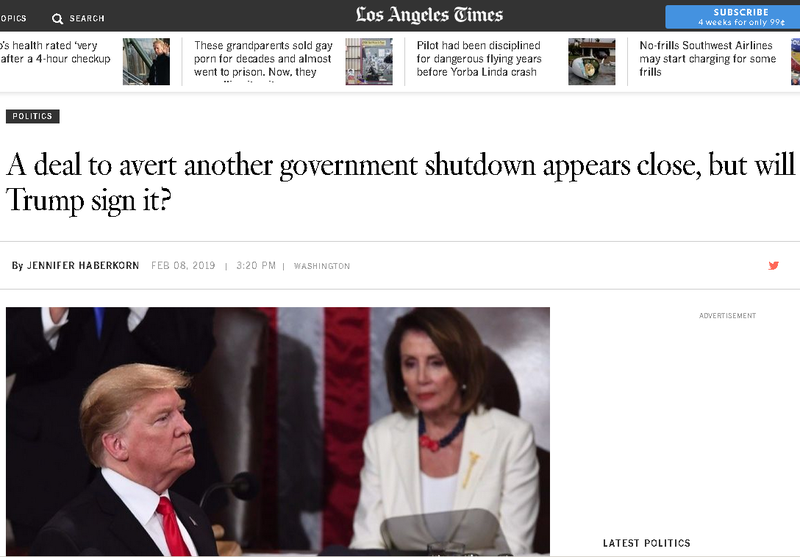 Is The U.S. Government Going to Be Shut down Again Over The Wall ? Nancy Pelosi has proven herself to be a worthy adversary, she pretty much embarrassed Trump and forced him to reopen the government once again to negotiate border security measures and if nothing comes out of these negotiations Trump threatened to declare an emergency on the border and build the wall that way or shut the government again, but will he do that? It seems unlikely he will do either of these things since declaring an emergency like that can set a precedent, nothing like that happened before and why wouldn't a future democratic president use the same measures to enforce his policies? What do you guys think is gonna happen?